At Arkwright Insurance, we can provide extensive breakdown cover for you and your vehicle to keep you active on the road. Thanks to our team of experts in the field of insurance, getting comprehensive breakdown cover for any vehicle is made quick and easy. 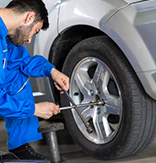 It's likely that your vehicle, at some point or another, will require a bit of assistance. Whether it comes down to a sudden fault or eventual wear and tear, a breakdown can leave you stranded at the side of the road. Luckily, with breakdown cover you can have peace of mind that you'll be rescued in such an event. Breakdown cover may appear to be fairly inexpensive, but don't underestimate just how valuable it can really be. As with similar policies like insurance, the cheaper the option, the less cover you're likely to receive. A more comprehensive policy can provide additional services on top of the basics of breakdown assistance. This can include home starts, onward travel to get you to your destination and even European cover to ensure you get the same level of emergency assistance if you're driving on the continent. When people talk about breakdown cover, we commonly think about cars used for private and personal reasons on a daily basis. However, there are all sorts of vehicles in operation on the road used for all sorts of purposes. At any time, any one of these vehicles may require roadside assistance following some kind of mechanical failure. Arkwright can help you to find suitable breakdown cover that's specific to your vehicle. Whether you're driving a car, van or motorbike, we can help to provide you with different levels of cover to suit your unique requirements and budget. All you'll need to do is provide information on the type of vehicle you want cover for, the registration (if possible) or the vehicle's make and model, and your personal details. From there, you'll be able to select the type of cover you require, which usually incorporates roadside assistance and nationwide recovery as standard. Home start to get you moving if your vehicle has broken down before you set off. Onward travel to provide support for continuing your journey, which could include overnight accommodation if necessary. European cover, which may include any of the above cover types while you're driving around continental Europe. Different cover providers may have different terms, so it's important to check the documents for your specific policy to make sure you're fully aware of what you're covered for. If your vehicle is written off or stolen, your insurer may offer you the current market value of the vehicle. 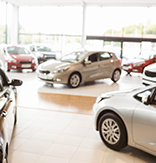 However, the value of any new vehicle can start to fall the moment it's been driven off the forecourt. This means it's quite possible that an insurance payout may not fully cover the amount that you actually paid for your vehicle in the first place. GAP (Guaranteed Asset Protection) cover intends to make up the difference - bridging the gap, as it were - so you don't end up out of pocket simply because of the depreciating value of your vehicle. This could help you to pay off any remaining finance debt or to buy a replacement vehicle of the same or similar specifications. Like other insurance policies, there may be different levels of cover available depending on your provider. The age of the vehicle, the recorded mileage and present value may all be factors in the type of GAP insurance available to you. At Arkwright, we have access to an extensive range of insurers to provide various motor breakdown cover insurance policies. With cover available for all sorts of vehicles in all sorts of circumstances, we have the flexibility to provide you with a policy that best suits you and your needs. Whether you require breakdown cover, GAP cover or both for your vehicle, Arkwright Insurance can help you to find suitable cover. To find out further information on specific types of cover we can offer, check out our Specialist Insurance products below. To get a quote from us, simply call 01204 392 525 and speak to one of our specialist team members. Let us know you specific requirements and we can find you the right policy for the best possible price. Get breakdown cover suitable for a range of standard and specialist cars. Keep your operations running smoothly by covering your van for unexpected breakdowns. Cover your motorcycle for unexpected breakdowns and ride in style. Cover the cost of replacing lost or damaged keys or locks. Protect the value of your brand new vehicle by covering the difference. 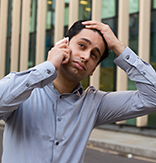 Designed to help you pursue legal action but are worried about spiralling legal costs. They're often the most expensive thing to repair or replace, so cover is a massive benefit. For phones, tablets and laptops, protect your expensive kit while you're out and about. Stay fully protected should anything unwanted happen to your specialist horse transport. If you ever need to make a claim, protection lets you claim back your excess. Get extra cover on versatile equipment alongside your car or van.